Happy Monday! 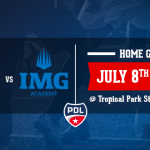 With the official start of the pre-season, our champions are warming-up and getting ready for the 2016 PDL championship, which will be kicking-off on May 7th against the Floridians F.C at home (Tropical Park Stadium)! 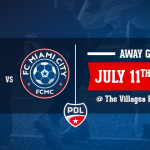 In order to be 100% ready for the official season, your FC Miami City will have a series of friendly matches to fully test the team’s potential. The team is ready to start, and the competition amongst the players is intense in order to get a spot in the first 11 starting players. Our head coach with his staff are ready to start this amazing season. 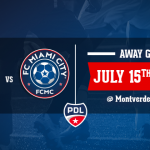 Come see us on the 27th and the 29th of April to support your FC Miami City. Time and location will be release shortly.